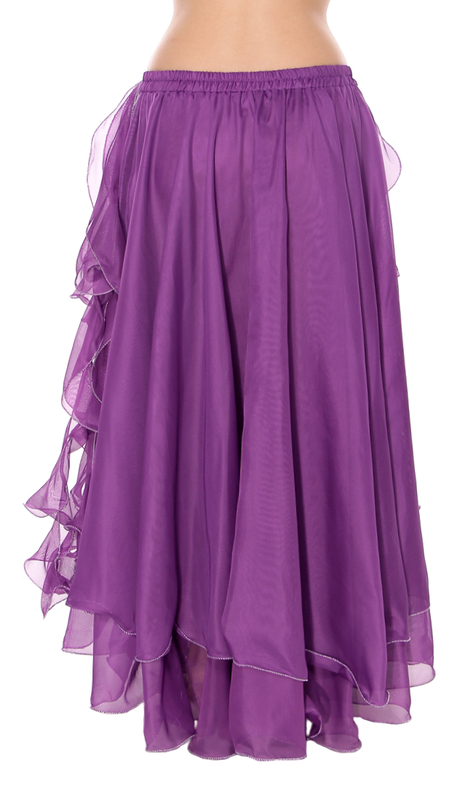 This full chiffon belly dance skirt with beautiful ruffle trim and hip accent is a great choice for any Belly Dance, Gypsy or Spanish Fusion costume! 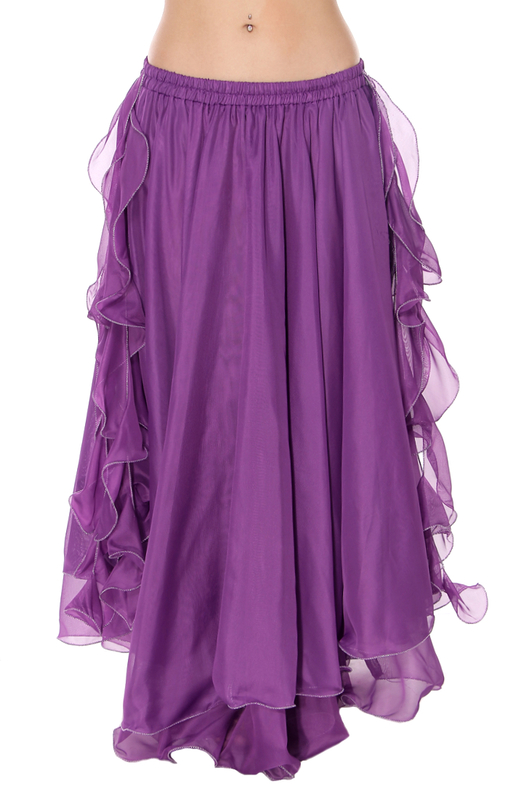 This full purple chiffon belly dance skirt with side slits features beautiful ruffle trim and hip accent. It's a great choice for any Belly Dance, Gypsy or Spanish Fusion costume! Also has an internal privacy panel, and stretchy elastic waistband for comfortable fit. Q: Will you ever get this skirt again in L/XL? I bought one in red, and it is perfect! A: Hi Darcy, Thank you for your question. Yes we will be receiving this beautiful skirt in the L/XL. Please check back with us mid August. I hope this helps.